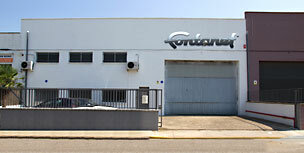 whose creation dates back to 1919, is located in Sabadell, a leading Spanish textile city. Dedicated to the construction of machinery for textile finishing, makes the whole process from creation and design to production and marketing. We also have a full after-sales service, which technically advise our customers to find the best solution to your needs.